As a medical assistant, learning how to calmly and quickly react to an emergency situation is hugely important. Emergencies can occur in any professional setting, but the presence of medications, dental operations and the stress that dental procedures cause in some patients can increase the chances of you needing to deal with an accident or emergency in a dental practice. To give you a solid grounding in how to handle dental office emergencies we’ve put together the following tips. 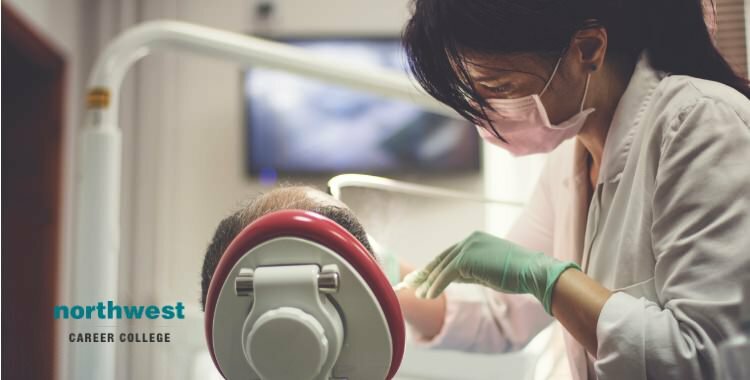 Having a solid plan in place to deal with dental office emergencies is the first step in making sure you can deal with any emergency situation. A established, written, and practiced routine for handling emergencies allows all staff to be sure of their responsibilities should an emergency happen and gives them the confidence to respond swiftly and effectively. While your office emergency plan should be personalised to your office, there are some ideal that are universally useful. For example, using a code word to indicate an emergency can help to keep other patients calm and avoid unnecessary stress. Staff roles should be clearly defined and someone with first-aid or CPR training should be available at all times. Emergency equipment, such as defibrillators, fire extinguishers and oxygen tanks should be clearly labeled and all stuff should be aware of their location. As a rule, dental procedures are mostly likely to have an effect on the respiratory or cardiac system. As a dental assistant it is important that you know how to identify respiratory and cardiac emergencies so you can respond to them effectively. During dental procedures a patient might experience and airway obstruction, potentially in combination with an asthma attack or bronchospasm. Symptoms of this include wheezing, choking and a bluish discolouration of the skin known as cyanosis. The anaesthesia involved in some dental procedures can cause circulatory/cardiac issues although these are far less common than respiratory problems. Symptoms of a cardiac emergency can include unresponsiveness to touch or communication, temporary cessation of breathing and the lack of a pulse. Collecting accurate information on your patient and being able to access it quickly could be vital in an emergency situation, especially information that indicates allergies or pre-existing conditions such as asthma or heart problems. Similarly, it is important that this information is communicated to other members of the team, so that everyone can react in an appropriate manner to potential emergencies.